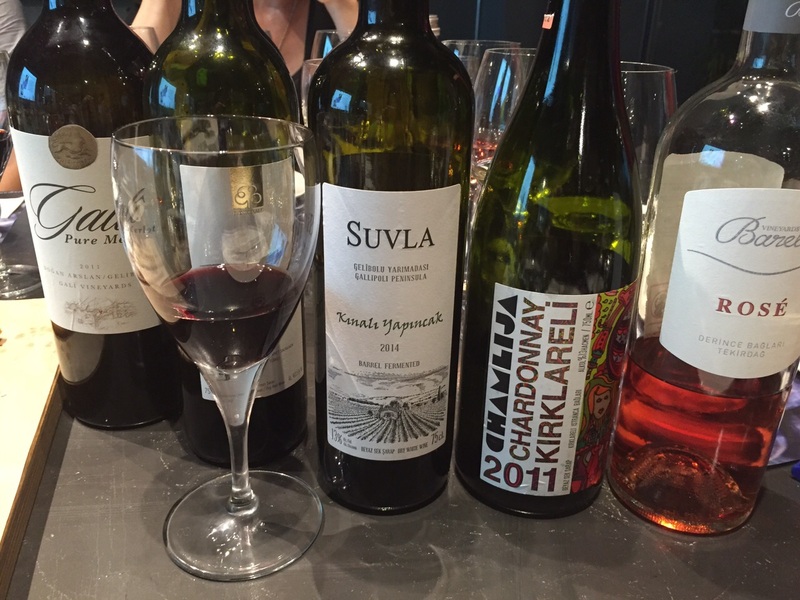 We had a lovely tasting event on May 25th. I may say that particularly I like such tasting events where the participants reflect their feelings about wine. 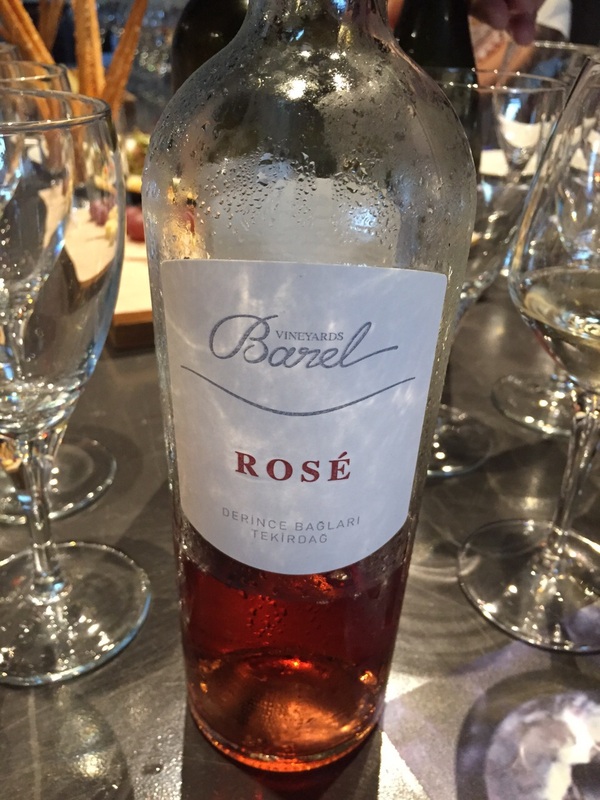 Barel’s Rosé 2014 has just been released and it is a lovely rosé with hints of strawberry and red plum. 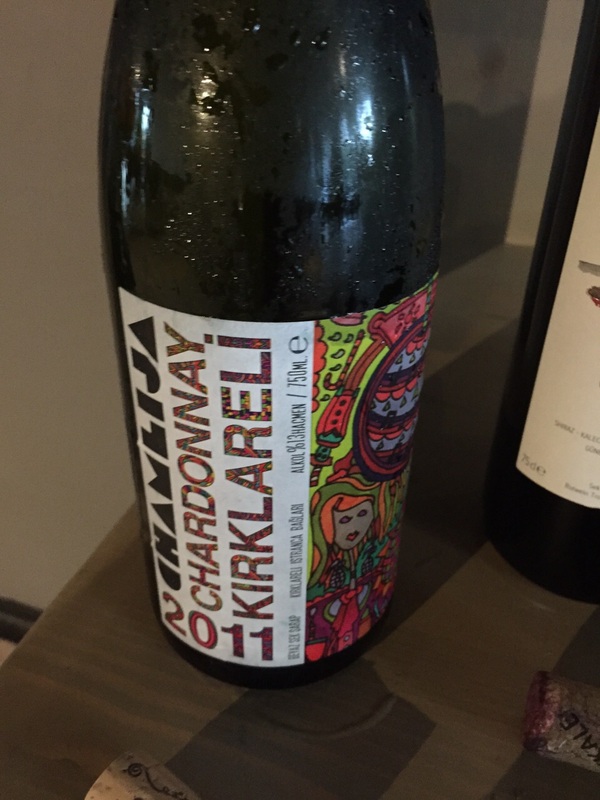 On the palate it has a fresh structure with sufficient acidity and fruit balance. Really good rosé for this summer and most importantly it has a good price/quality value. 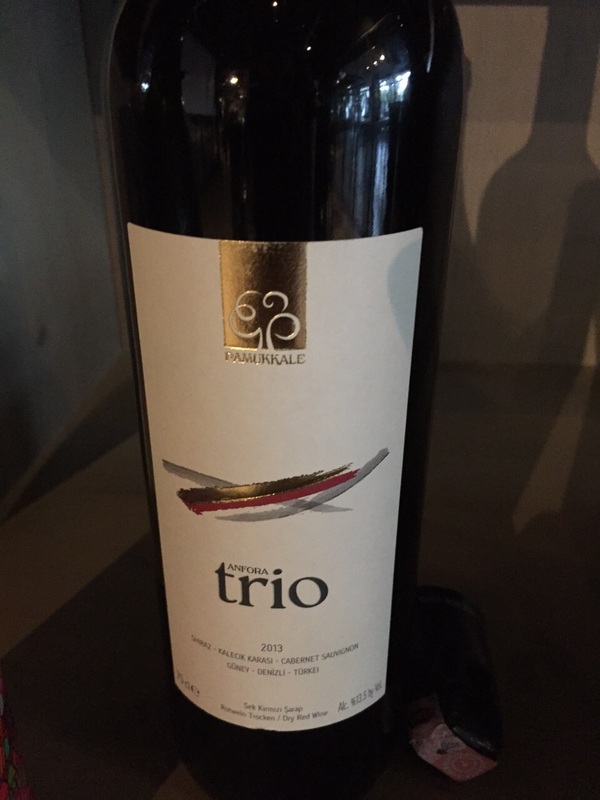 Pamukkale has always been making really good wines at affordable prices and Trio is one of those values. 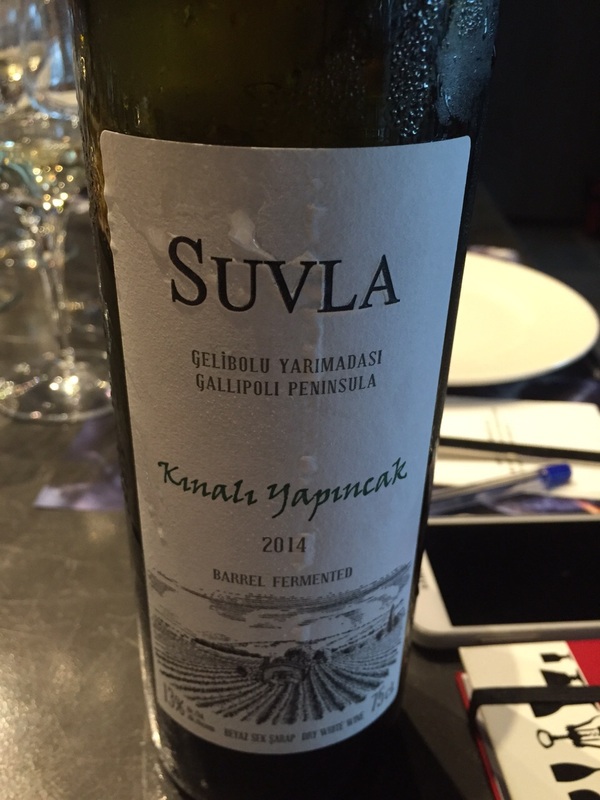 This is a blend of Shiraz, Kalecik Karasi and Cabernet Sauvignon. Very fruity on the nose with hints of blackberries, plum, banana and some spice. 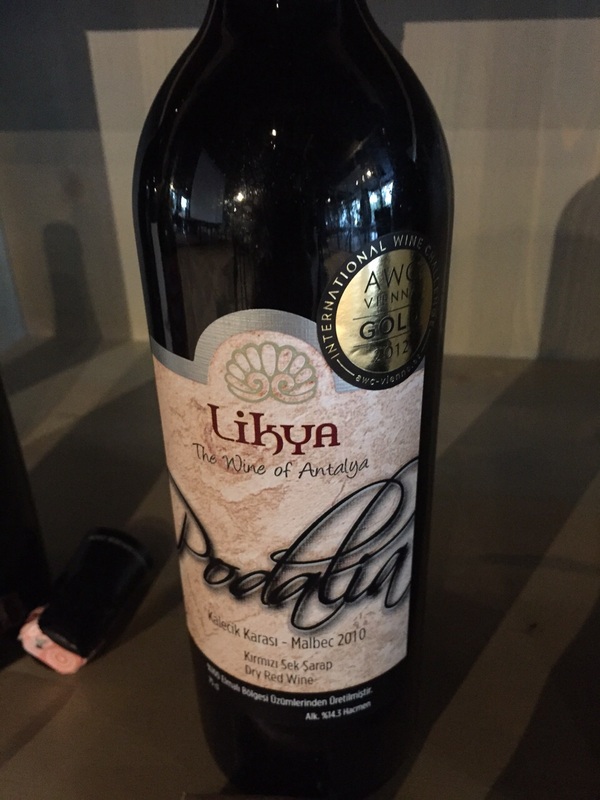 On the palate it has light to medium body with fresh structure and firm tannins. 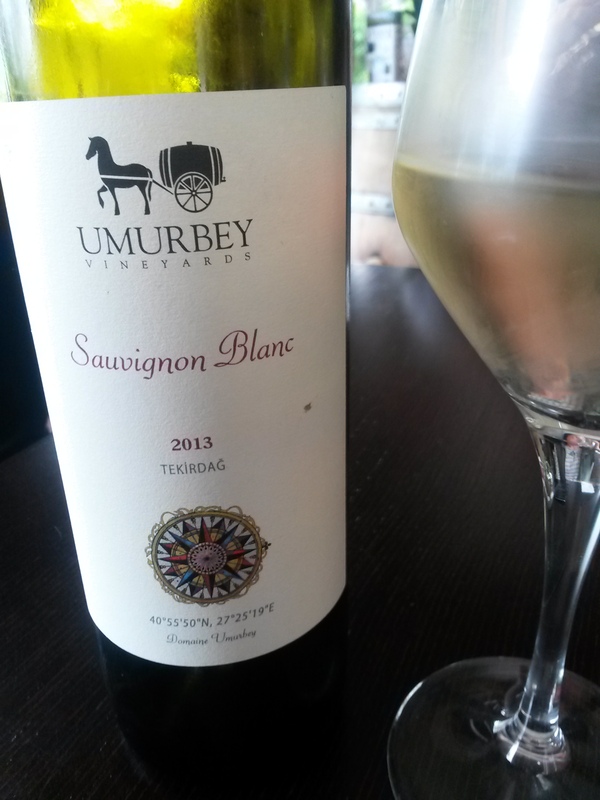 This is a typical “everyday” wine which you can enjoy with pizza or light pasta dishes. 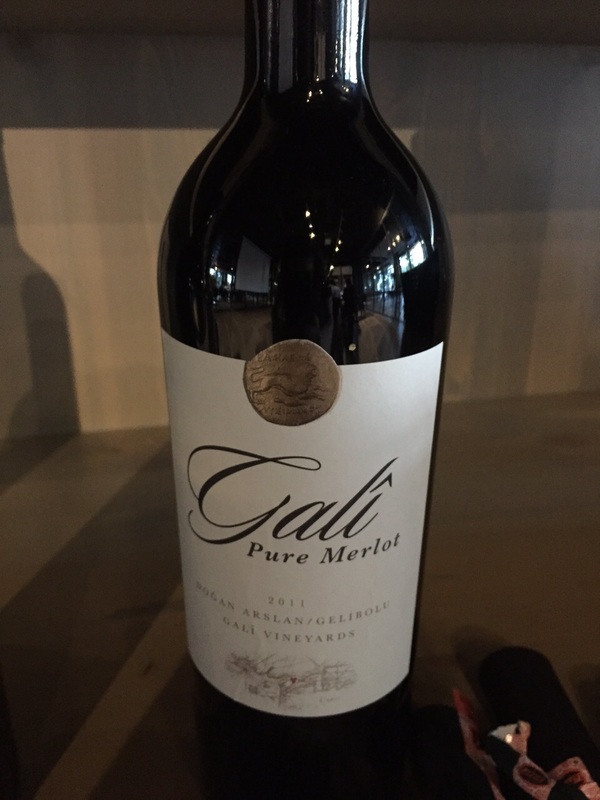 Gali Pure Merlot 2011 was the last wine we tasted. It is recently released and now the wine can finally be found in the stores. I may say that this is a great Merlot which reflects all the aspects of a fine wine with complex, fruity and concentrated structure. Ripe blackberries dominates the fruit with humble oaky and floral notes. 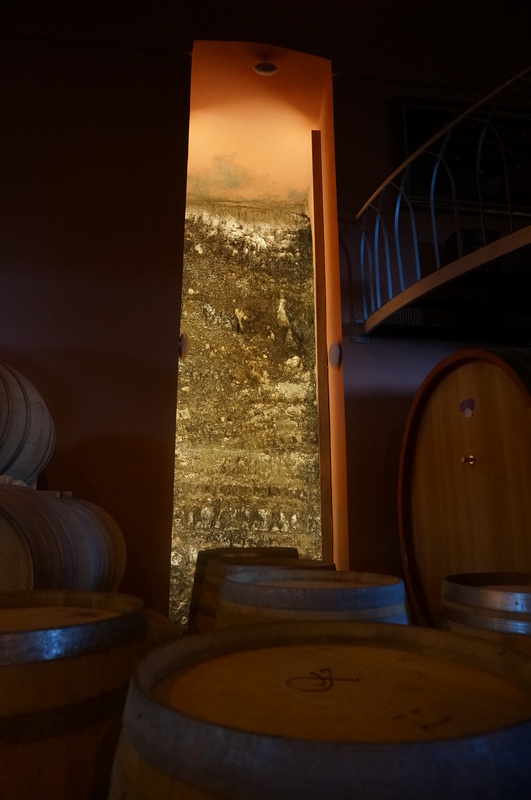 The producer used mainly Hungarian barrels for a period of 12 months. Very vibrant acidity, distinctive but round tannins, full body and a very long finish fullfill our expectations from this lovely wine. Certainly will develop more for the following years. I will be doing a special tasting event on 15th of June at Brunelle Restaurant located inside St Joseph College Alumni Association in Moda – Istanbul. I will be doing a special event about oenology, viticulture and grapes on Monday, 18th of May at St Joseph College Alumni Association in Moda – Istanbul. 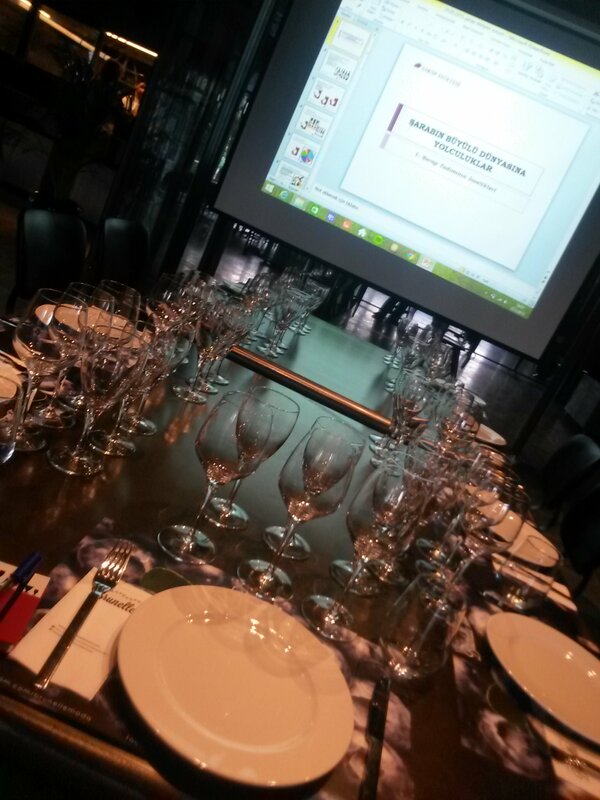 Soon, I will be starting for special events in Istanbul related to Turkish wines. Please write me an email in order to get more information for all events (dates & details). Şarköy is located on the Marmara Sea coast line, about 1 hour from Tekirdağ city center. 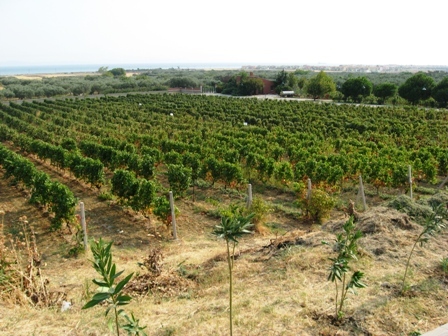 This sub-region was a major wine production place in the past during Ottoman Empire period. Especially the small village of Murefte has always been famous for its wineries since 19th century. Even, we know about the history of selling wines to France particularly from Murefte during phyloxera period end of 19th century. 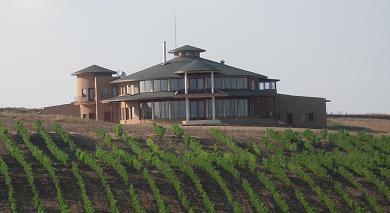 Today unfortunately there are not too many wineries left from that époque. Many of the vineyards have also been converted to Olive Trees mostly. There are two ways to come to this sub-region of Şarköy. Either you follow the mountain road from passing from Uçmakderesi, or you can follow the main road and then follow the signs for Şarköy on the way to Marmara Sea. The mountain road is generally shorter and has got great scenic view of Marmara Sea and Marmara Island. There is also a paragliding location on the mountain. I recommend you this road either going or coming from Şarköy; however, you should be careful to use this road especially on rainy days since there are rocks falling down on the road when there is too much rain. 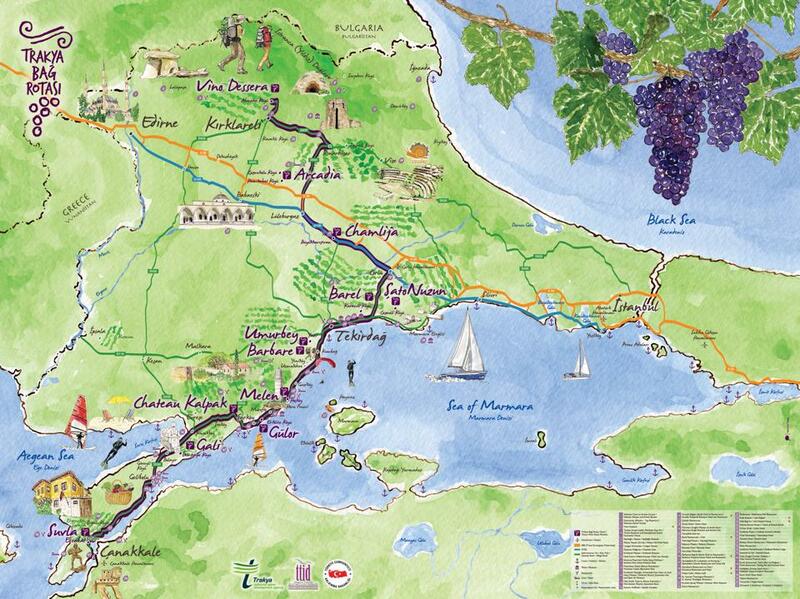 On Thrace Wine Route, we have 3 wineries in Şarköy region; Melen, Gulor and Chateau Kalpak. 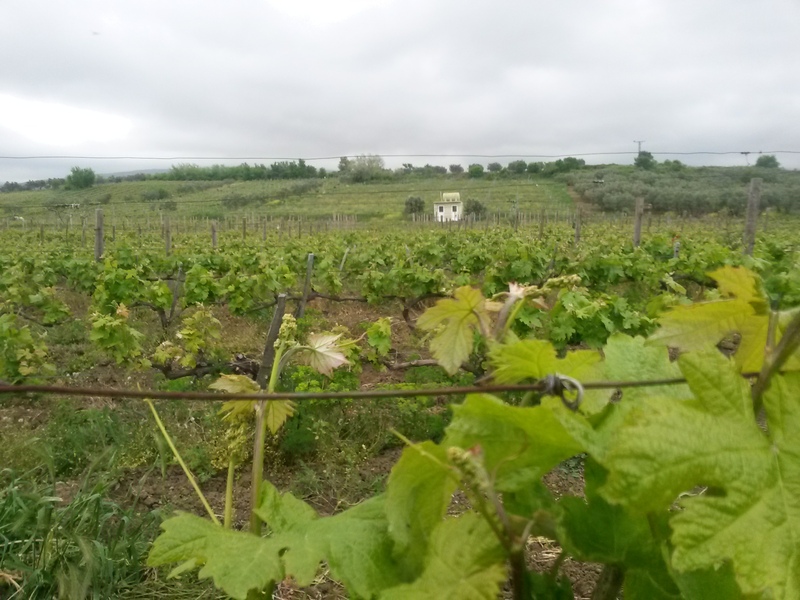 – Gulor Vineyards: If you continue the road from Hoskoy, you will reach to Murefte town which was the heart of wine production in Turkey once upon a time. Once you go out of the town following the seashore, before arriving to Şarköy you will reach to Gulor Winery on the right hand. Owned by Turkey’s one of the largest Group of Companies, Sabanci Group, Gulor Winery was founded on 1993 as a boutique concept winery. The first vines were planted within the 90s under consultancy of Pascal Delbeck. 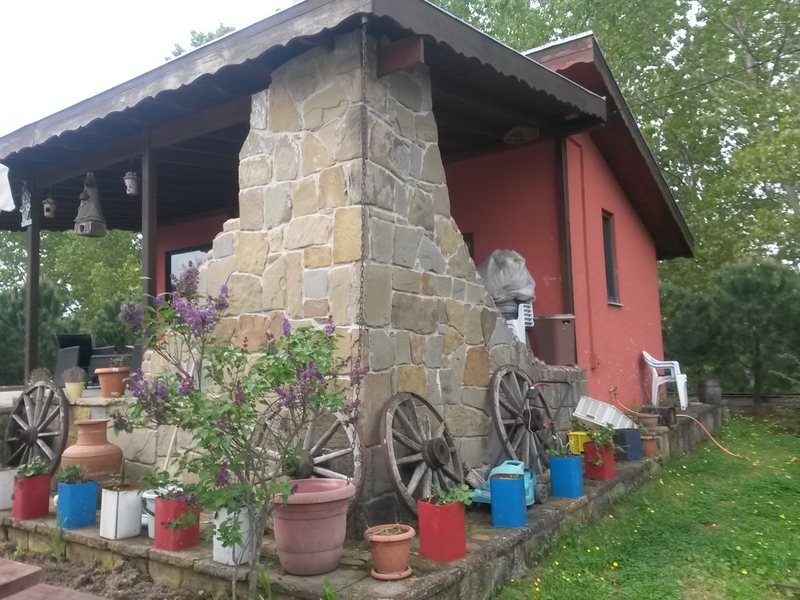 They have Cabernet Sauvignon, Merlot, Petit Verdot, Sauvignon Blanc, Syrah as well as some Italian varities such as Sangiovese and Montepulciano. 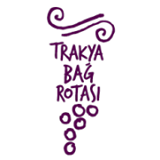 They also have a lovely and fruity Okuzgozu – Bogazkere blend (local varities from East and Southeastern part of Turkey) under the label of “Sayeste”. 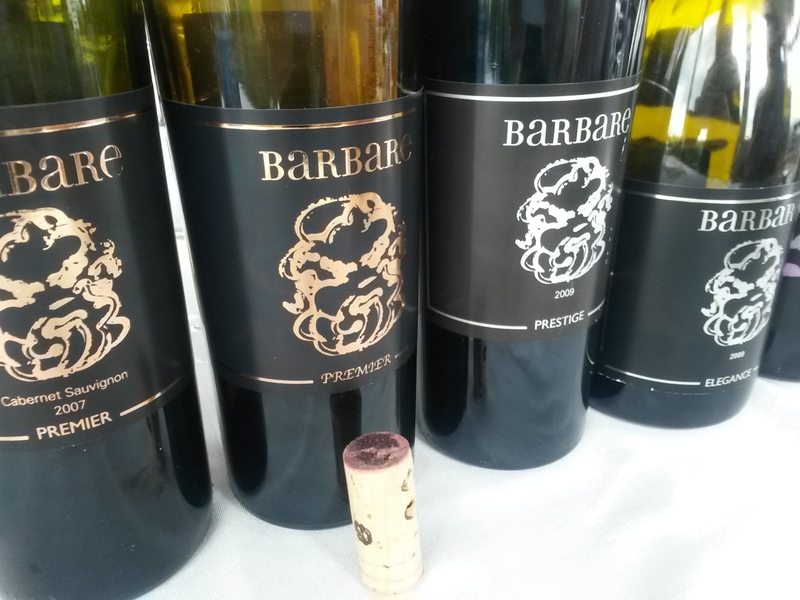 Also I really like their Blend T 2011 – a blend of Sangiovese, Montepulciano, Shiraz & Merlot – a wine with a nice complexity with round structure. – Akkaya Restaurant: Famous for its grilled chicken, Akkaya has changed its location from Eriklice village to the center of Şarköy. 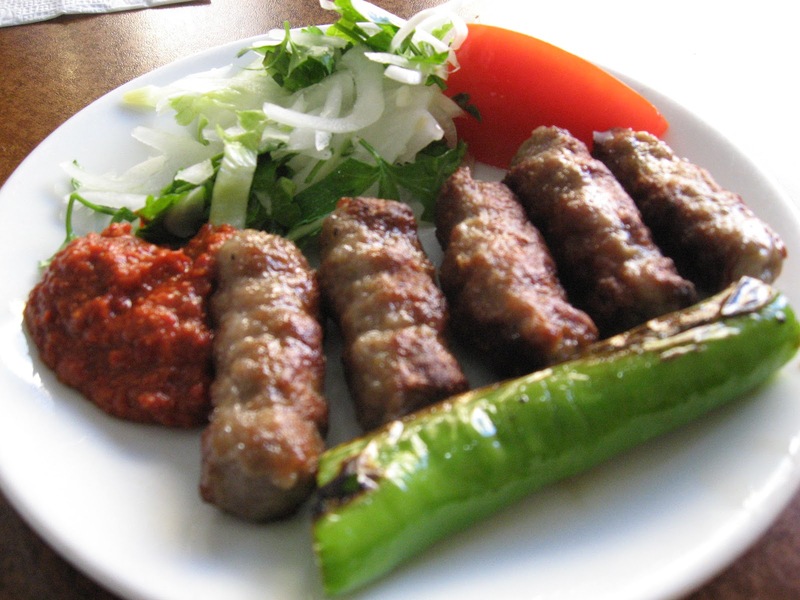 You can also find here really good grilled meat with special spicy Turkish sucuk (a kind of spicy sausage). Mostly they sell raki as usual however the good news is that some Turkish wines can be also found in the restaurant especially the ones from Kayra winery.